Before and After Camp Care is available from 8:00 am to 9:00 am and from 3:30 pm to 6:00 pm. Rates are available in the online registration process. There is a one-time fee of $50 per child for registration and camp T-shirt to be paid at time of registration. 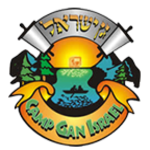 ¹ Children ages 4 years and older will be accepted into Camp Gan Israel only if they are completely toilet trained. ² Children 18 months and older must be able to walk on their own. Both you and the person you refer will each get a $100 camp credit after the new person has registered for camp. Please remind the family to indicate on registration that you referred them so you get the credit. $50 discount per week for all weeks registered if all registration materials are complete and all tuition and registration fees are paid for in full by 5:00 p.m. on Friday, April 1, 2019. Each additional sibling enrolled in CGIS Boys & Girls Camp after the first camper will be given 10% discount. We have a limited amount of space available at camp. Please register early and guarantee your space which allows us to properly staff and keep Camp tuition reasonable. All children that completed the required information will be allowed to participate in all activities.